Dr. Kulli Toniste and Rev. Douglas Childress, United Methodist Missionaries. 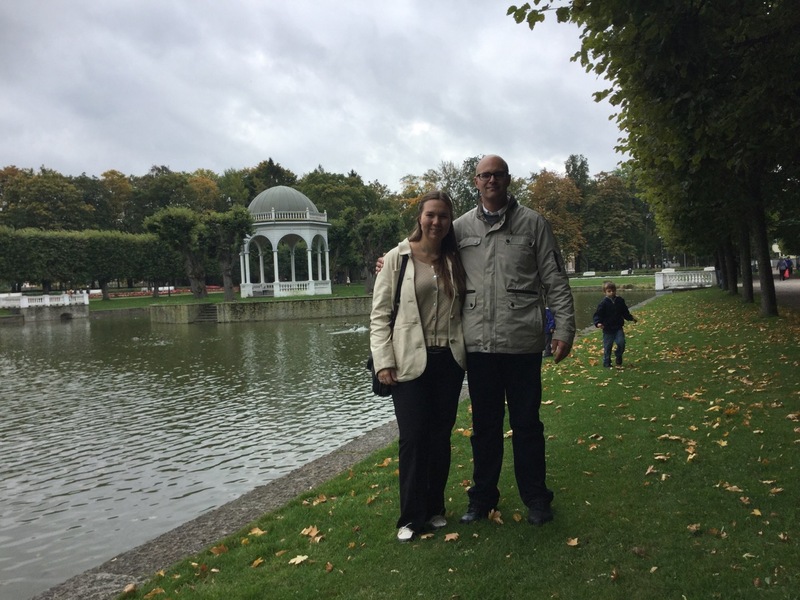 Kulli and Doug at a park in Tallinn, Estonia. Greetings from Estonia! Kulli and I wanted to send out a newsletter to update you on happenings related to our work as missionaries. To begin with, we arrived in Estonia a little over a month ago and have been busy with mundane tasks such as getting our children registered for school, dealing with customs related to our recently arrived belongings, and applying for my living permit (an Estonian “Green Card”), which is in process. 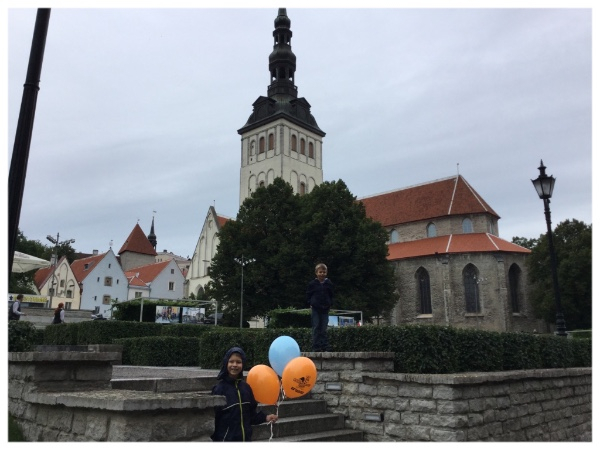 The children are adapting well to Estonian school and kindergarten, and are grateful that some children their age speak English. However, the first two weeks, when Karl was in a sandbox, he started digging a big hole informing us that he was trying to dig back to America! On September 24-27, we attended a conference entitled Called2Serve hosted by the Nordic and Baltic area of the UMC Northern Europe and Eurasia Conference. The event took place at Baltic Methodist Theological Seminary, where we work. Over 300 pastors, laity and other participants came from 9 different countries to worship, fellowship, and learn various ways to better serve within local congregations and communities. Translation was offered in seven different languages. It was amazing to hear about how church is done in other countries. Kulli and I are just beginning to work. We have begun sitting in staff meetings and learning a little bit more deeply about our job descriptions and duties. Kulli began teaching a class on the Introduction to theology last Saturday. I will begin instruction on Church History in January. I also had a meeting with the Estonian District Superintendent of Estonia and discussed the possibility of starting an English Speaking extension ministry connected with the Tallinn UMC. What’s more, next week, I will preach in the student chapel. Of course, there have been challenges-dealing with customs agents, adapting to new schools, living in a country where most of us do not speak the language, and adapting to new jobs. But we are very grateful for the ministry God has given us here in Estonia and look forward to what comes next. Reverend Douglas Childress is a missionary of the General Board of Global Ministries of the United Methodist Church and has been sent to be a pastor of international ministry, lecturer in Church History and Practical Theology in Tallinn, Estonia. Dr. Kulli Toniste is also a missionary of the General Board of Global Ministries of the United Methodist Church and has been sent to be an assistant professor in Biblical Studies and Theology.